No government or bureaucracy loves a whistleblower. Those who leak official information will often be denounced, prosecuted or smeared. There is a link to the material Snowden has leaked, and to his stated motive for doing so. In a world of total monitoring – where intelligence agencies aspire to collect and store every single email, text message and phone call – serious investigative reporting becomes difficult, if not impossible. Normal interchanges between sources and journalists cannot take place in such a world. Officials who were once willing to talk are already chilled. In future they would be silenced. Thanks to Edward Snowden we are beginning to glimpse what another NSA whistleblower, Thomas Drake, has described as “a vast, systemic institutionalized, industrial-scale Leviathan surveillance state that has clearly gone far beyond the original mandate to deal with terrorism”. Max Frankel, the 83-year-old former New York Times executive editor, wrote this week in his old newspaper: “As those of us who had to defend the 1971 publication of the secret Pentagon Papers about the Vietnam War have been arguing ever since, there can be no mature discussion of national security policies without the disclosure – authorized or not – of the government’s hoard of secrets.” He is right. Daniel Ellsberg, the leaker 40 years ago, was smeared and denounced at the time. His trial in 1973 collapsed in 1973. 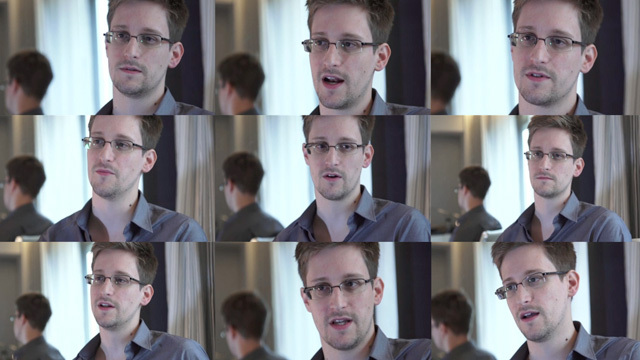 History will be kinder to him – and, quite possibly, to Snowden.